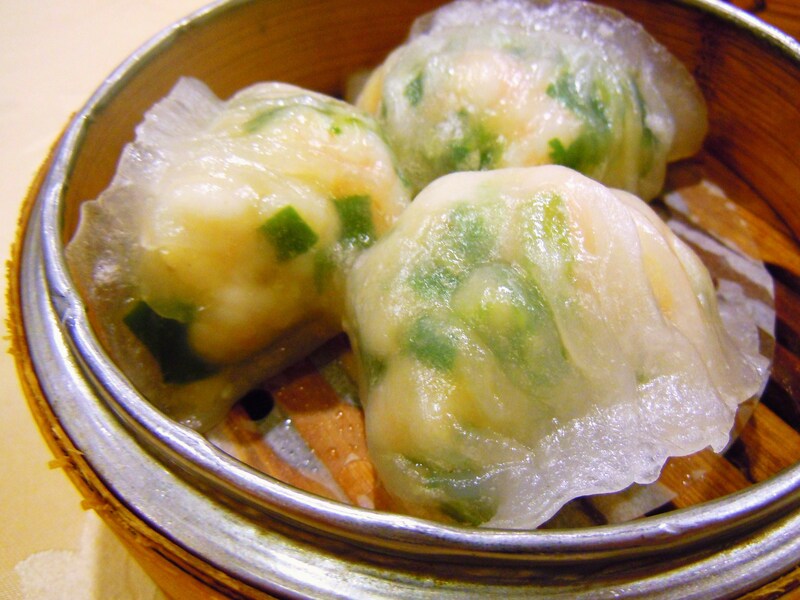 It was dim sum weekend here at Ate by Ate headquarters and I’m so excited to share the yummies with all of you today! 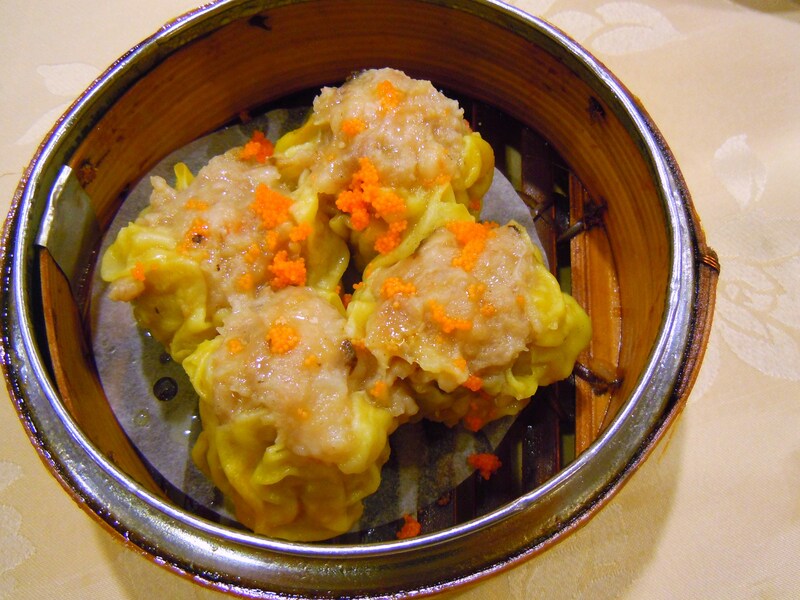 Aside from some dumpling photos here and there, I’ve never done a full dim sum post on the blog. The lack of steamers and Chinese brunch on Ate by Ate is inexcusable considering how much I love dim sum and how it’s been ingrained into my familial and cultural upbringing since childhood, so I thought it was about time I shared some of my favourite dim sum dishes and stories here. Dim sum is so special to me because it combines so many of my favourite things all into one big ball of happiness: great food, time spent with my grandparents, and a busy and bustling atmosphere. 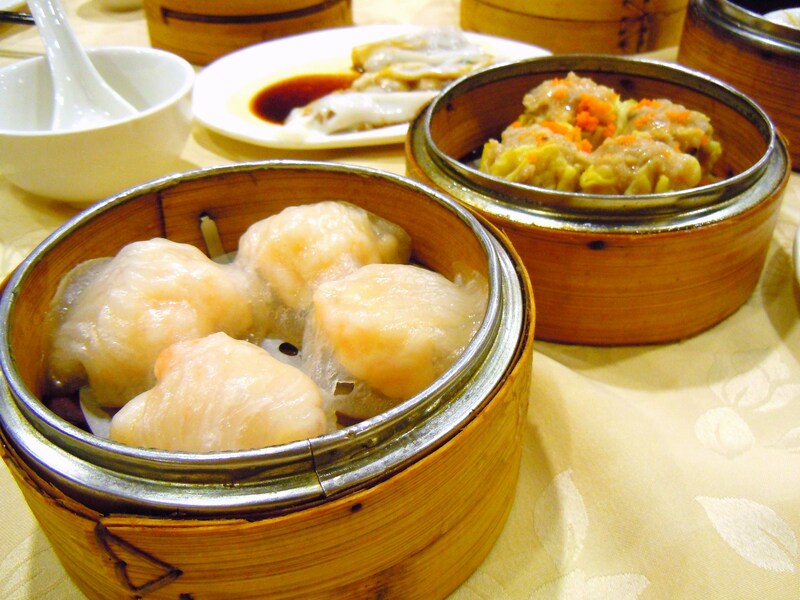 I know dim sum might not seem like the most exciting or adventurous thing to those who go out for it often, but it’s a real treat for me and I look forward to dim sum get-togethers and meals each and every single time. It doesn’t matter that I’ve had dim sum a hundred or even a thousand times over during the course of my life – it’s the feeling I have and the memories that are invoked that mean the most to me. I love the feeling of walking into the Chinese restaurant that I grew up going to and having the manager and dim sum ladies ask me how I am and lament at how much time has passed since I was a little girl. I love remembering the times when I would play up my big sister role and grab food for my baby brother and how I still mother him to this day by making sure he has enough to eat (he’s a boy with a bottomless pit of a stomach so I really don’t why I worry about this!). I love seeing my relationship with my grandparents grow and change over time. And I love those moments when its just me, my family, and food. When all the cares in the world go away just for the morning. When it’s just the six of us. There’s nothing like it. To me, dim sum is at its absolute best when it’s delivered via dim sum carts. I know there are great places that do it the pencil and paper way, but hands down, dim sum struts its stuff from the carts when they make their rounds around the restaurant. For those who have never experienced dim sum or dim sum in this fashion, this is how it works: Patrons are seated at a table and are asked what type of tea they wish to drink. Two tea pots are then brought to the table, one with tea and one with hot water to dilute the tea as the meal progresses. Dishes of food are placed on rolling carts. Restaurant staff (who are traditionally women) push these carts in and around the aisles and perimeter of the restaurant. At times they will call out the dishes that are being offered on the cart, but most of the time patrons will see for themselves what the dishes are and request them for their table. There are two particular styles of dishes that are served. There are the “small plates” and the meal-size dishes. Small plates include dumplings (the infamous shrimp ha gow, and pork siu mai, and many others), rice rolls, steamed buns, sticky buns, spring rolls, beef balls, crispy fried taro mounds, and small dishes of things like chicken feet and squid. Meal size dishes are things like bowls of rice (law mai fan), congee, noodles, and vegetables among others. After requesting a dish off the cart (of which you can have as many as your table desires), the dim sum lady will make a note on your running paper bill. Each and every table has one and it is there to keep track of what dishes each table has ordered and how many. At the end of the meal, the running bill is tallied up to a grand total. 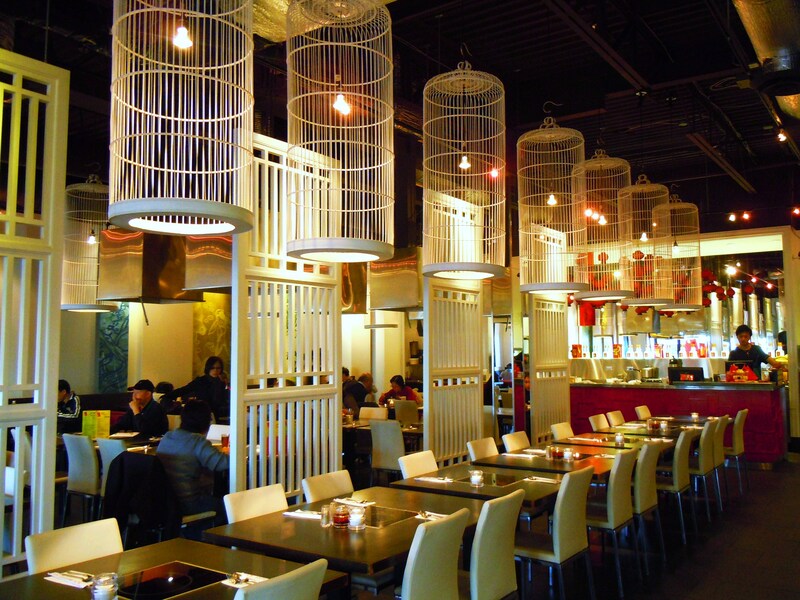 For families and larger groups, dim sum is – excuse my language – a freakin’ awesome deal price-wise. Each dish size (small, medium, and large) will have a “flat” price that is assigned to all dishes within that size categorization. For example, small dishes can be assigned to a $2 price point while medium dishes are assigend to, say, $2.50. Prices will vary depending on day of the week (weekday mornings are slightly cheaper than weekends, which is expected) and the restaurant and part of town. Many of the small plate dishes come with 3 or 4 of each item so you order for the table accordingly based on how many people there are, how many people anticipating eating that particular dish, and so on. You can always order again if you decide you want more and you can always ask for a take-out box if you have leftovers. To put the pricing into perspective, our 6-person table of adults had a total bill of $42, tax included. And we were all stuffed as we always are after an amazing dim sum meal. Dim sum is what I like to call, “Chinese style tapas”. The term “tapas” is sometimes misused when it only refers to the size and portion of food and dishes, when it really incorporates both the concept of small-bites and socializing over food. And boy is dim sum ever a socializing event! It is not dim sum unless it is busy, busy, and more busy. Think line-ups, dishes being delivered and devoured at an alarming speed, and a steady stream of loud chatter ping-ponging from every corner of the restaurant. While weekday mornings might not always be as busy, noon hour is always a bustling time and weekends are absolute party events. 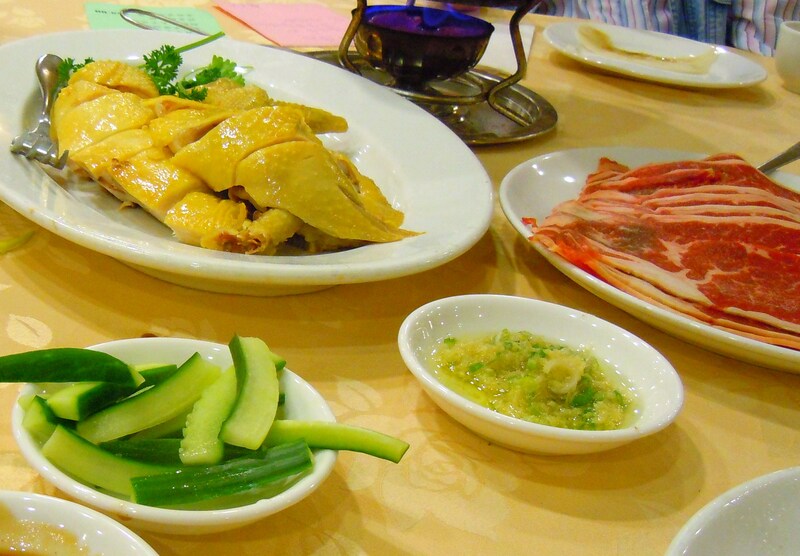 Most of all, the space in which dim sum is consumed is also the space in which generations merge and collide. 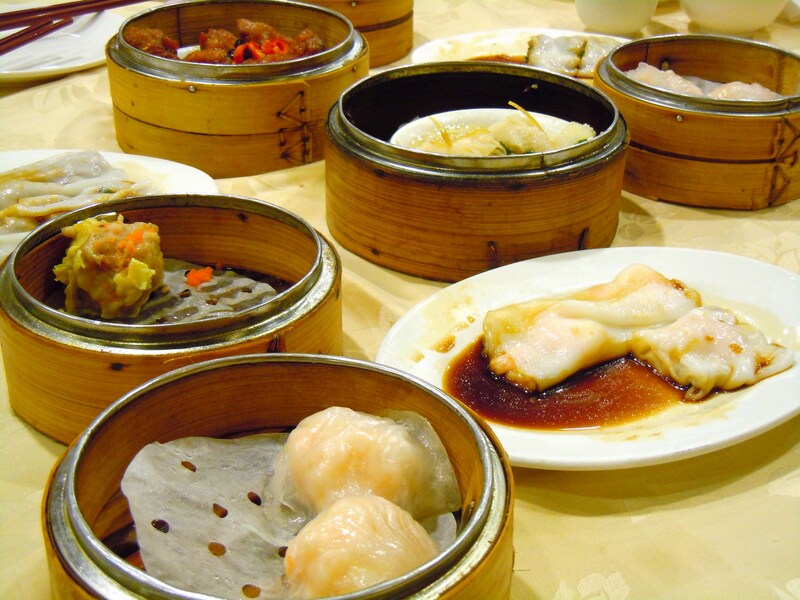 Dim sum is incredibly social in nature and the whole experience is bounded by the belief that food plays a central role in familial and social gatherings. 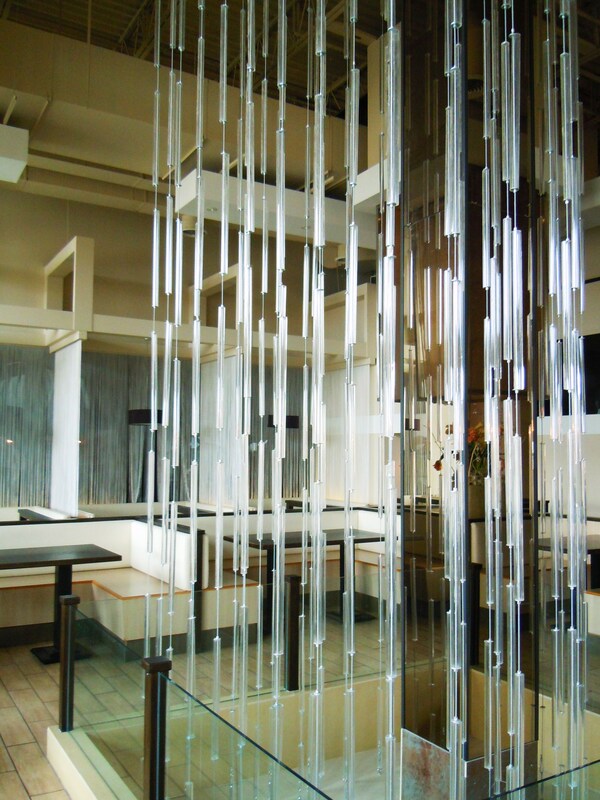 Photos taken in Scarborough at Very Fair Chinese Restaurant, in Agincourt. 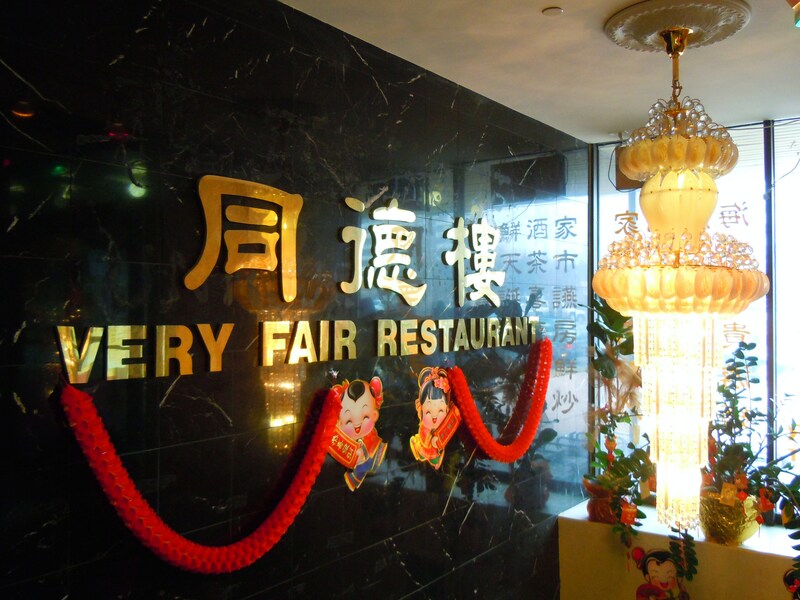 Very Fair Chinese Restaurant is located at 4002 Sheppard Ave. East in the lower level of the complex. Now that you have all read about my tale of birthday ice cream cake embarrassment, it’s time to get down to food business with photos and food stories of noodles and tea drinks! Destiny Cafe is situated in what I call the “restaurant congregeation” of Richmond Hill, right by East Beaver Creek Drive and Highway 404. I’m not joking when I refer to this area as restaurant central – there are more than 10 restaurants on this one plot of land and they’re all within hopping and skipping distance from one another! If you’re in the mood for fruity drinks and tea, snacks, and lots of Chinese food, and if you happen to be in the area, Destiny Cafe is your destination. In my opinion though, Destiny is worth going to even if you’re aren’t in the vicinity because I think their menu caters to many tastes and appetites. Destiny Cafe has two locations, one in Scarborough and one in Richmond Hill, and while I’ve been to the Scarborough location several times in the past, this was my first time eating at the Richmond Hill one and I was beyond shocked when I stepped inside the large and majestic cafe. I knew it looked huge from the outside, but nothing could have prepared me for what I saw on the inside. This wasn’t a cafe, this was the size of a banquet hall! 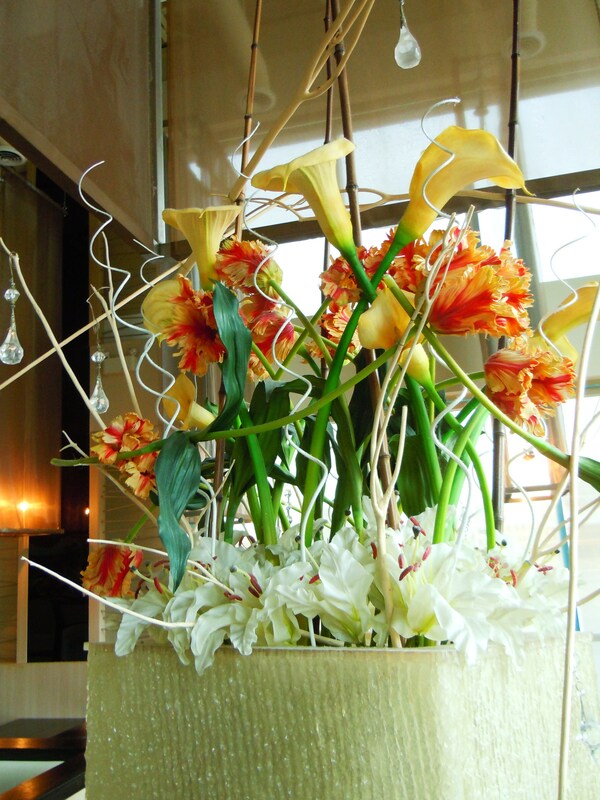 The entire space was bathed in ivory, cream, and chocolate brown with splashes of soft green. 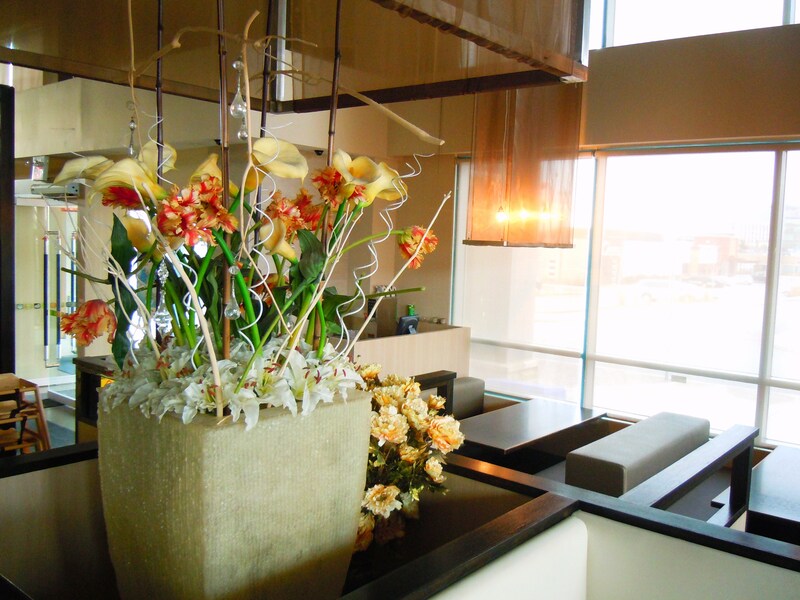 Beautiful light fixtures hung from the ceiling and gorgeous floral arrangement planters filled with calla lilies, siberia lilies, and other flowers dotted the dining areas throughout the cafe, bursting with red, oranges, and yellows. Big windows allowed plenty of natural light to filter through and seating was ample and spacious. The atmosphere felt fresh, peaceful. 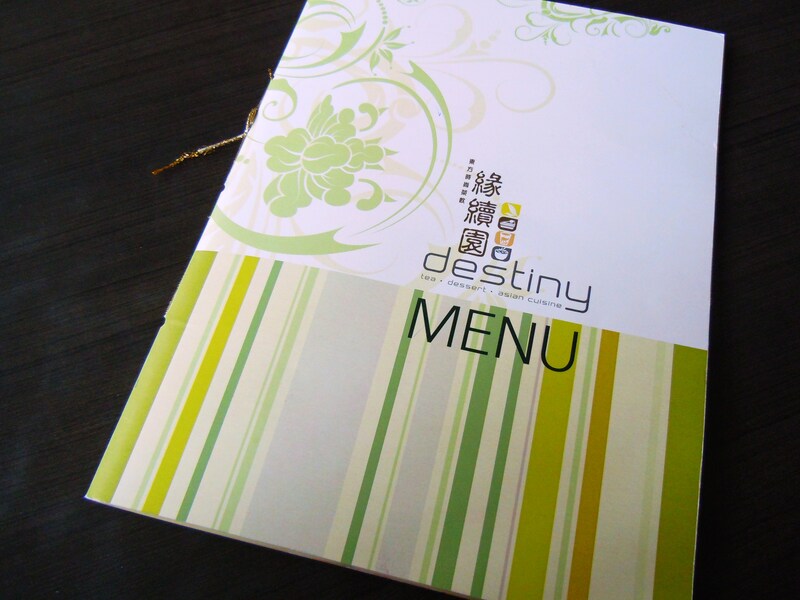 What I love about Destiny, aside from the gorgeous decor, is the variety of food and drink and how organized the menu is. 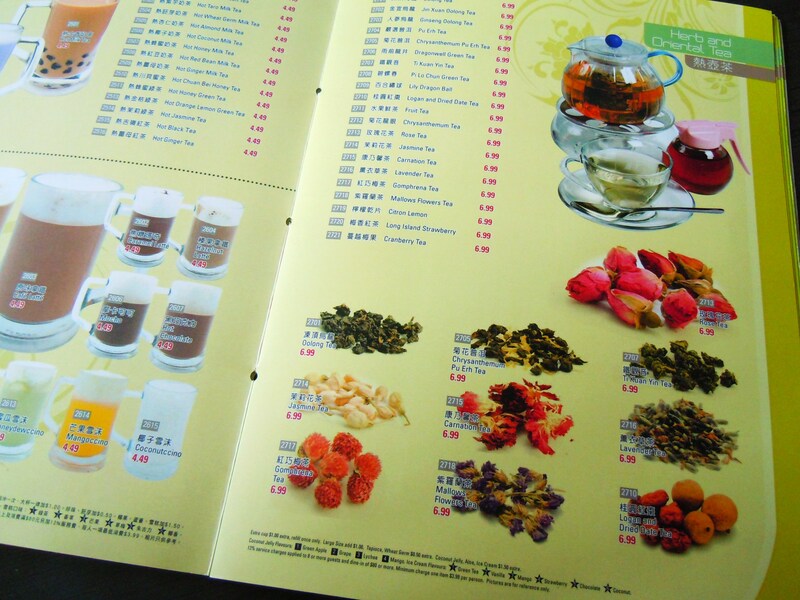 The menu is divided into two sections (drink and food), where the first portion of the menu is devoted to bubble tea, herbal tea, and coffee drinks. 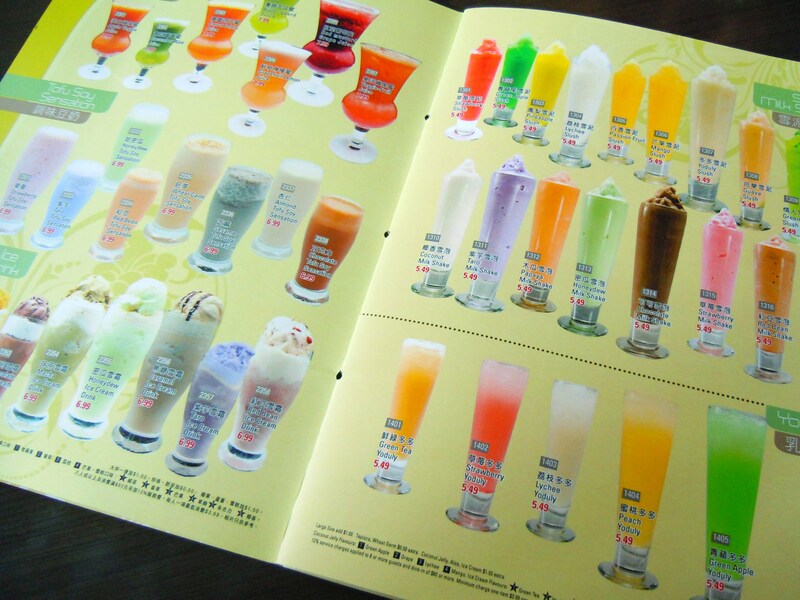 A rainbow of bubble tea, slushes, soy drinks, milk teas, milkshakes, coffee drinks, lattes, and tea drinks with ice cream greet you within the first five pages or so, followed by a page of herbal and flowering teas. 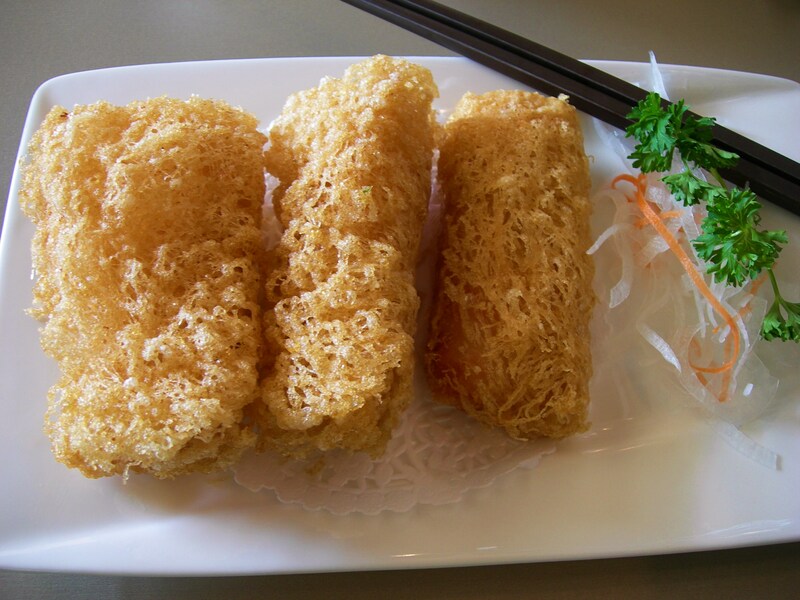 If that’s not enough to make your head spin, the menu continues on with a healthy dose of dim sum appetizers, snacks, diner style sandwiches, toasts, fried rice, fried noodles, steamed rice meals with meats and vegetables, and soup noodles. In addition to their regular menu, they also offer a set lunch menu from 11am-2:30pm which includes a salad, spring roll, your choice of entree, a small coffee, iced/hot green tea or milk tea, and a dessert for $7.99. On top of that, there’s an afternoon tea time menu offered from 2:30pm onward, with dim sum dishes, small plates, and snack items. In yesterday’s post, I posted a photo of some crispy shrimp and mango rolls. Those were ordered from the afternoon tea time menu at the Scarborough location and they were absolutely divine. If I had to compare Destiny Cafe to another place, I’d say that the menu is somewhat similar to that of Ten Ren’s Tea Time. Both Destiny and Ten Ren’s have an abundance of bubble tea and tea drink menu items, as well as a menu centered around Chinese, Taiwanese, and Japanese dishes among other Asian foods. 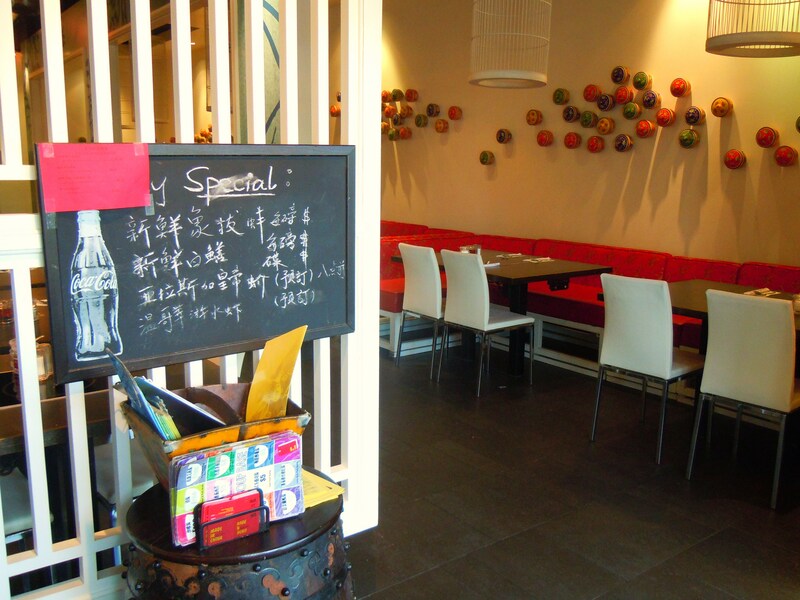 While both menus offer the same scope of bubble tea and tea selections, Destiny’s food is definitely more diner style whereas Ten Ren’s leans more toward traditional dishes found in Cantonese and Taiwanese cuisine. For example, while you wouldn’t find diner style sandwiches, toasts, and fried rice at Ten Ren’s, you would find plenty of soup noodle meals, steamed rice with meat and vegetables, and appetizers and snacks. If you’re really looking for a tea and dessert type of meal though, I’d go for Ten Ren’s as their selection is greater and more unique. Destiny’s desserts are more run-of-the-mill as many of them come from La Rocca. The food and drink though? Fabulous. 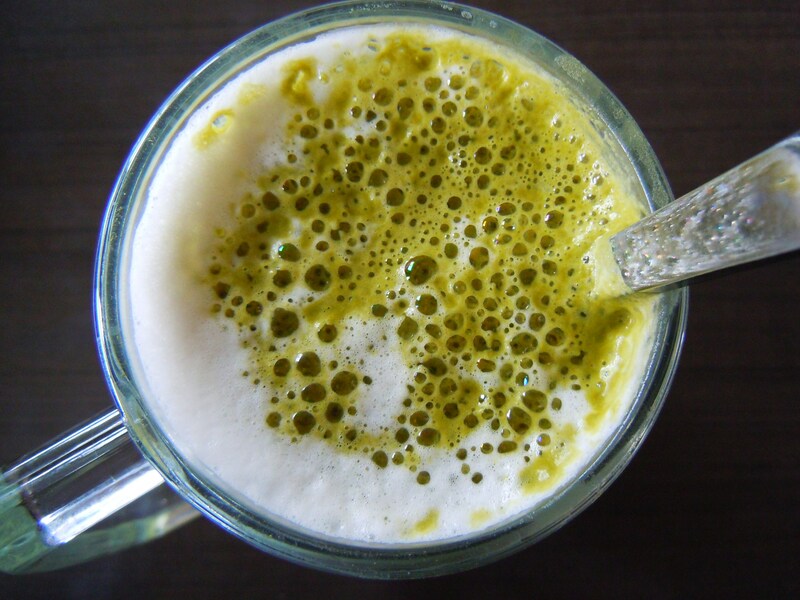 Given how I’m on a bit of green tea latte and dessert kick, I had a delicious, warm matcha latte ($4.49) to go along with my ramen noodles in soup with gyoza pork dumplings ($7.99). 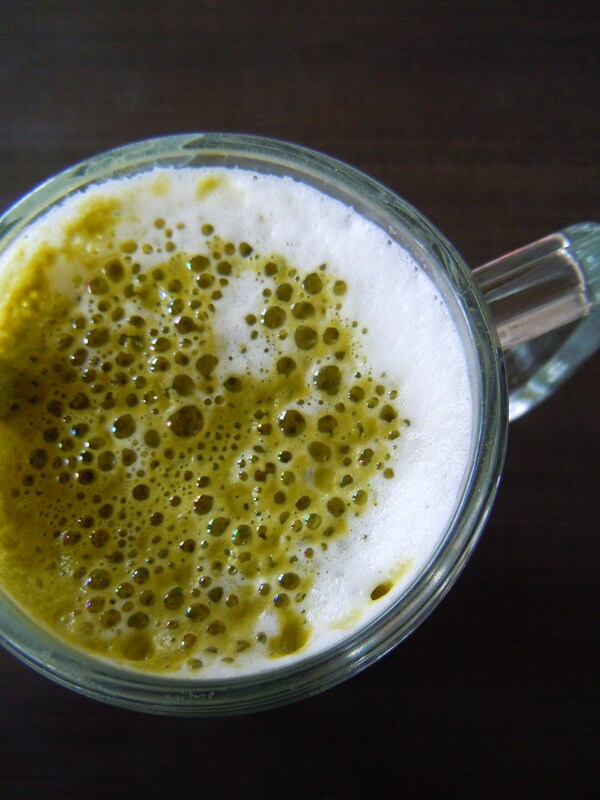 The latte was nice and strong in matcha flavour and not “milked down “or diluted in the least. It was a great accompaniment to my noodles which I enjoyed so much. 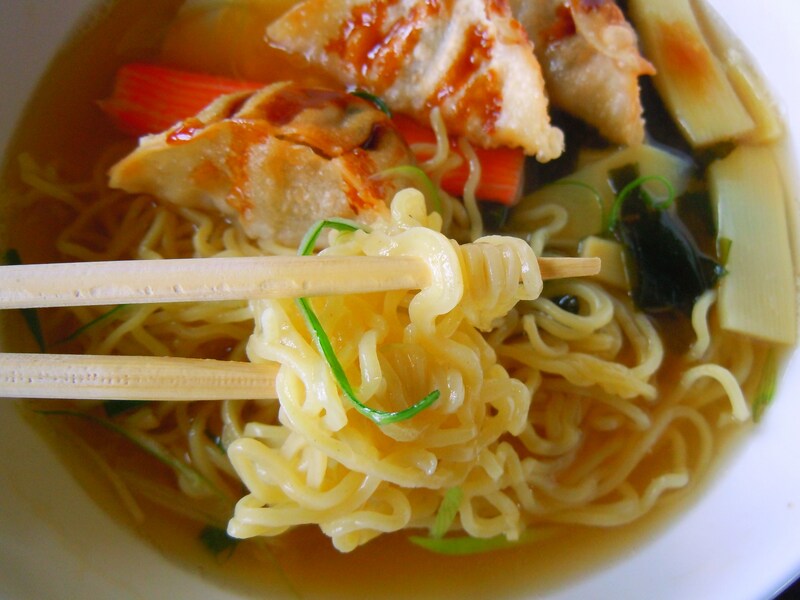 I love noodles and I especially love ramen noodles in soup. It’s one of my favourite comfort foods and meals. 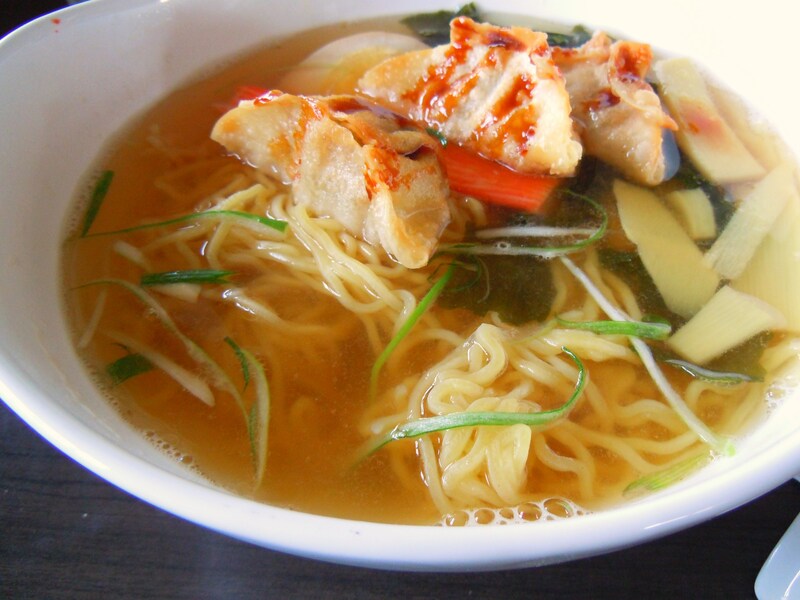 The warmth of the soup broth, the savouriness of the noodles – it’s happiness in a bowl! I was debating between the pork cutlet with ramen noodles and the ramen noodles with the gyoza dumplings and ultimately, the dumplings won me over because I adore dumplings with noodles. The ramen noodle bowl contained a tea egg (cha-yeep-daan), some crabstick meat, bean sprouts (I’m not the biggest fan of bean sprouts and telling the nice waitress completely slipped my mind, so I’ll admit that many of them were still floating around in the leftover broth when I was finished. My bad. 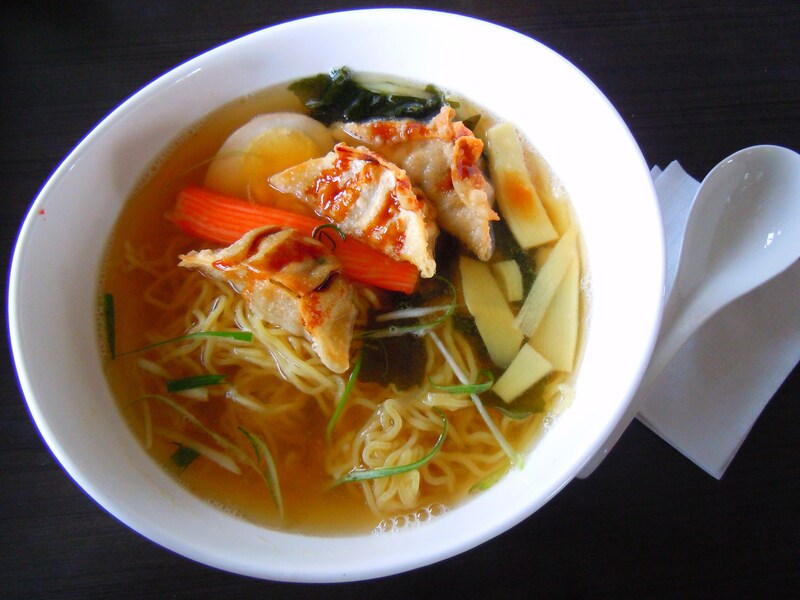 ), some vegetables, three pork gyoza dumplings, and lots of scrumptious ramen noodles. The noodles were absolutely delicious. They were cooked perfectly al dente and they were savoury and thick and just divine. And the dumplings! They were golden brown, crispy around the edges, and juicy and soft on the inside where the pockets of pork were. It was a wonderful meal, one that I would most definitely have again. Coming here has made me realize just how much I’ve missed it and how crazy I’ve been for not coming back for good eats sooner! Even though the humourous catasphrophe that was my birthday is an event I can look back on and laugh, I’m happy to have these new food memories. Especially ones that tasted as delicious as these. Destiny Cafe is located at 165 York Blvd. in Richmond Hill, Markham. 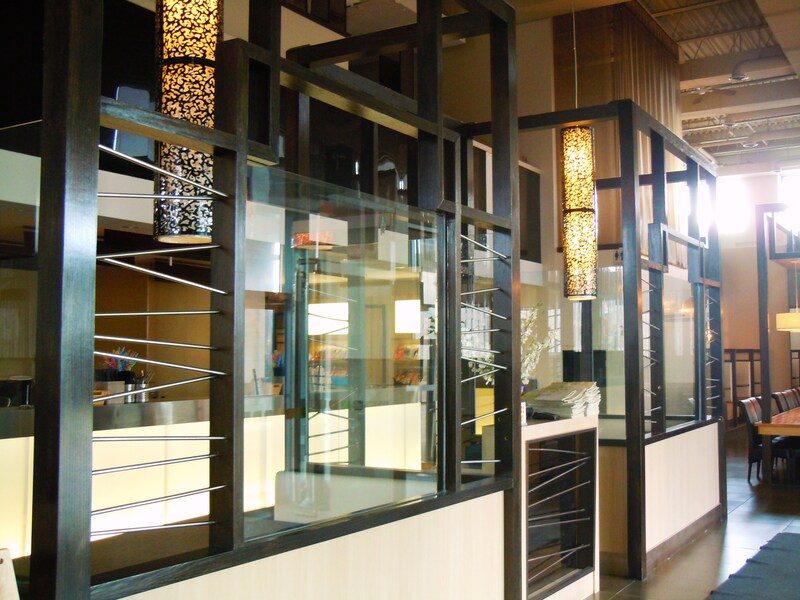 The large space is housed within a complex of restaurants and eateries and can be accessed via East Beaver Creek Drive and Highway 7, just off the 404. 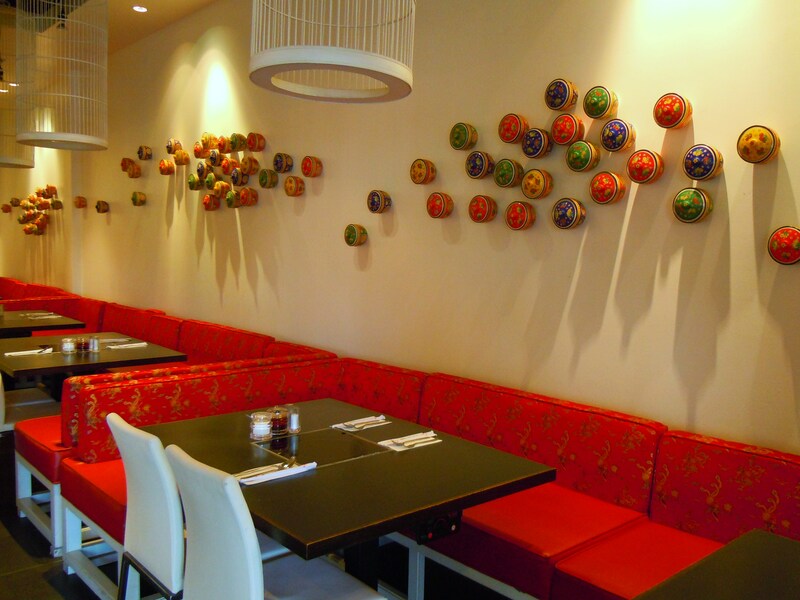 Destiny Cafe has two locations in the GTA. The other location is located in Scarborough off Silver Star Blvd. and Steeles Ave. East. The markham location is open for business at 11am. You know a cafe holds a special place in your heart when you’re happy to go back for eats even after a mortifying experience. On your birthday. In front of other people. And by mortifying, I mean having your special circus-themed ice cream birthday cake completely defrost, deflate, collapse, and flood the dinner table with your dinner guests watching, laughing hysterically, and then helping you mop up the goopy mess afterward. And that, my dear friends, is the fondest memory I have of eating at Destiny Cafe until now. Which is somewhat unfortunate considering I’m in love with their menu, their decor, and their drinks and food! Let me start from the beginning though and turn the clocks back to the summer of 2008. Enter the reunion of yours truly with a childhood friend through the magic of social media. Said friend suggests grabbing a bite at Destiny Cafe in Scarborough. Yours truly, not yet the savvy food adventurer she is now (humour me with that one), has no prior knowledge of what Destiny Cafe is or what food and drink they serve. However, she is highly intrigued and jumps on the chance to try a new place and to catch up with an old friend. Yours truly is happy to find out that Destiny Cafe is a lovely place with traditional Chinese rice and noodle meals and snacks, and vows to come back in the future. 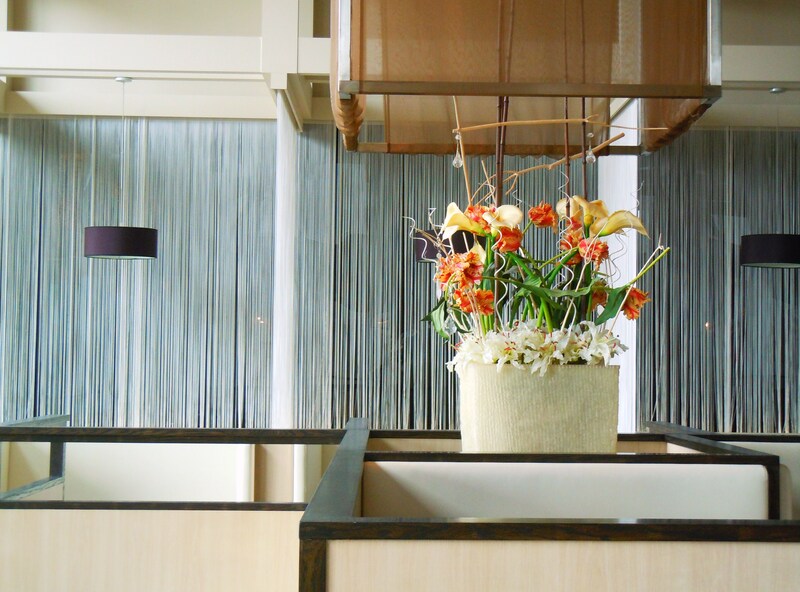 When she does so in 2009, she is shocked to see the cafe has undergone a complete makeover in both appearance and in menu, making it one heck of a gorgeous and delicious space to eat in! Goodbye wooden and bamboo accents and furniture; hello sleek and shiny gunmetal and olive green! 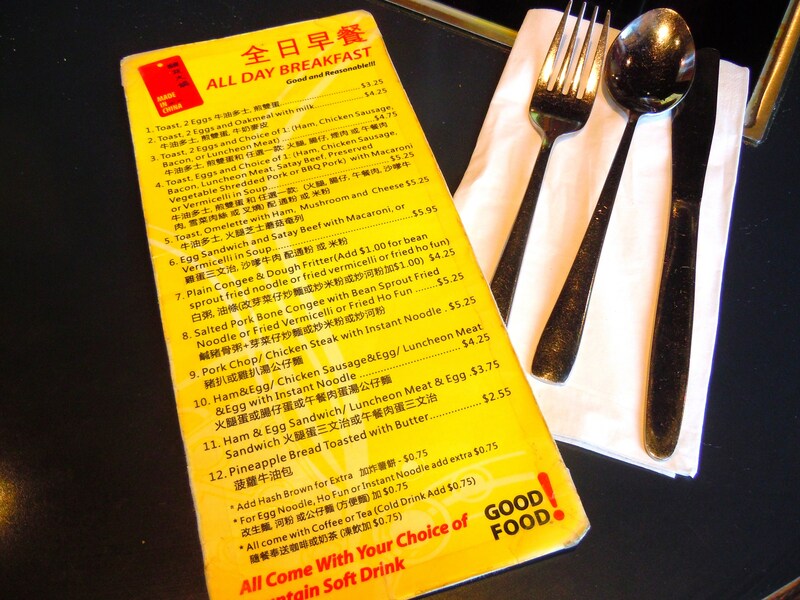 The scrapping of the traditional Chinese food menu made way for the more modern and hip bubble tea and tea drink cafe with fried rice and noodles dishes, dim sum appetizers, and Hong Kong diner style fare. 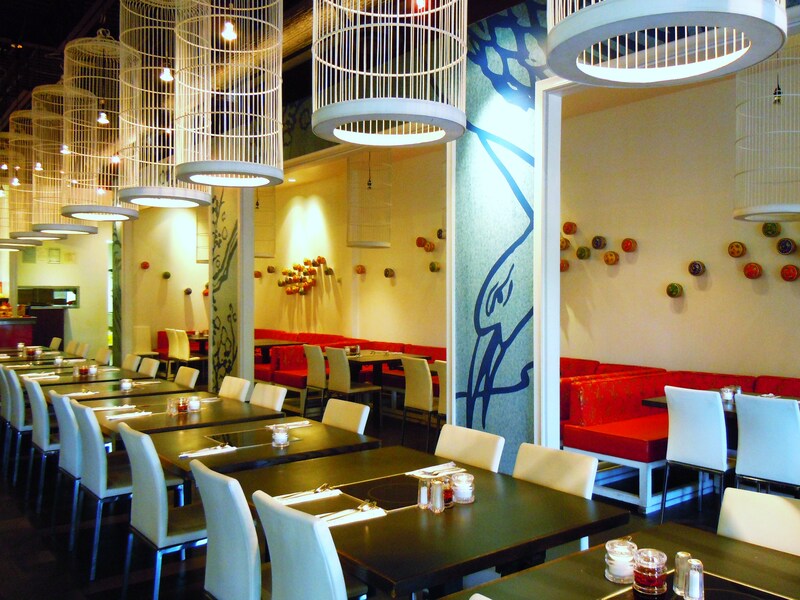 Yours truly is hooked and vows to eat and drink her way through this luscious Chinese cafe. And eat and drink she did as she enjoyed afternoon tea time food with her family (scrumptious crispy shrimp and mango dim sum rolls! Mango peach bubble tea!) and a birthday get-together with friends and boyfriend. 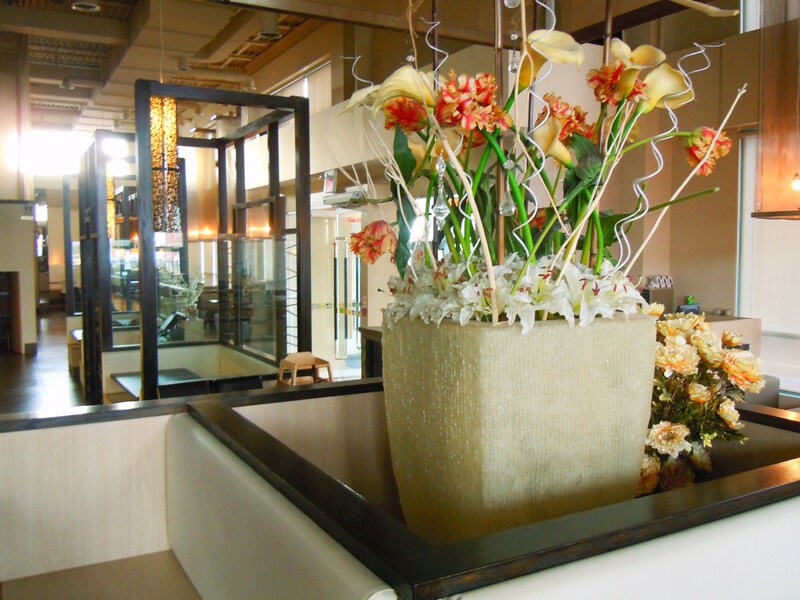 She decided Destiny Cafe would be a lovely place to hold a birthday dinner – large space, large menu. With circus themed goodie bags and special ice cream cake in hand (or rather, hands), the birthday girl made her way Destiny Cafe for what hoped to be a memorable birthday celebration with great food, drinks, and friends. Oh, it was memorable alright, as unforseen circumstances took hold. The food gods must have chosen her as the next target to poke fun at because before anyone could say, “melting cake!! !”, disaster struck as the birthday girl’s entire cake caved in, melted, and spread like evil molten lava. Mortified and nearly choking on her Portuguese chicken and rice, she lunges for the stack of napkins and tries to salvage what is now a circus freak show mess. The birthday girl’s friends and boyfriend help to clean up by eating any and all unmelted remnants, shoving the leftover goopy mess into the cake box, and using ice cube water and leftover guava juice to mop up the evidence. All the while giggling uncontrollably and soothing the birthday girl’s wounded spirit. And that, folks, is the last memory I had of Destiny Cafe until now. Under the circumstances, I actually took the incident fairly well and snorted about it on the way home. That incident occurred two and a half years ago and I look back it ruefully and fondly. My last trip to Destiny may have ended on a mortifying note, but I look back and only remember the good because all my food experiences here in the past have given great food and memories. If not for my old friend, I never would have known about this Chinese cafe and I never would have had the pleasure of tucking away another delicious Chinese food spot into my list of Chinese cafe mainstays. Destiny played a part in my family’s afternoon tea time meal phase during a difficult time in my life, and it gave my friends and I one of the most ridiculous, hilarious memories ever. No matter what, food brings us together and it’s what anchors many of fondest memories. Aside from the crispy dim sum rolls, what you see up top are photos taken from the Markham location as opposed to the Scarborough one. I’ve barely made even a tiny dent in the food and drink department since, but I have a yummy post to share with you all tomorrow that’s sure to get you eating and drinking here. Minus the melting lava cake. Candies and Food Traditions – Wishing Everyone a Happy and Sweet Chinese (Lunar) New Year! To all those who celebrate, Happy Chinese New Year! The day may be drawing to a close, but my festivities are only getting started! I’m celebrating with family next weekend and I’m hoping to get a few fun Chinese food posts on the blog this week. Chinese New Year has been low-key for me so far but I’ve definitely been enjoying some great food! I’ve been munching on an egg tart, a pineapple bakery bun, a dried chive and shredded pork and bakery bun, a yummy vegetarian dish, and some very awesome roast pork! Aside from the roast pork which I really only eat maybe twice a year, I do eat many of the others at all times of the year but you know how it is. Everything just feels more celebratory and festive during a special occasion, so eating Chinese bakery buns and egg tarts this weekend made me feel extra warm and fuzzy inside. Traditionally, a dinner with meat is eaten on new year’s eve (thus, yesterday) and a vegetarian one on new year’s day. We had some fabulous roast pork last night and today, we had big dish of cellophane noodles (“fun see”) with snow peas, peppers, and mushrooms. 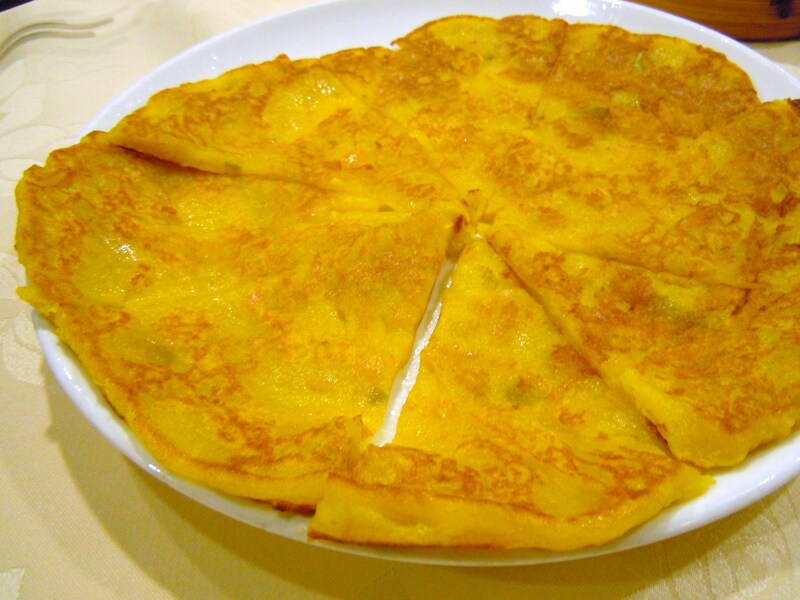 On vegetarian day, we often have the cellophane noodles with veggies or melon squash as well as a big dish with different types of beancurd (“jai”) including curry beancurd, sweet and sour bean curd, seaweed, and others which we always eat with steamed rice. I wasn’t the biggest fan of the vegetarian dishes when I was little (bean curd just doesn’t sound appetizing to a child’s ears! 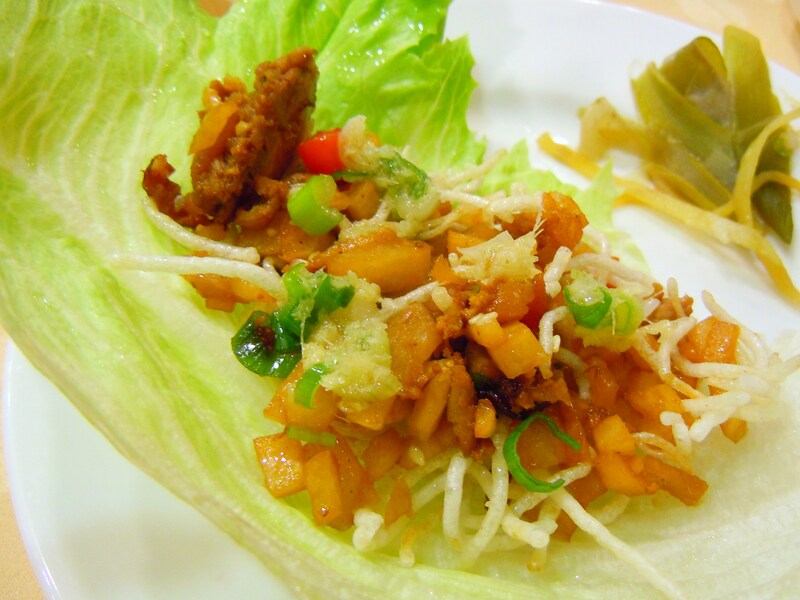 ), but I absolutely love it as an adult now and love that there are delicious Chinese vegetarian and vegan options. 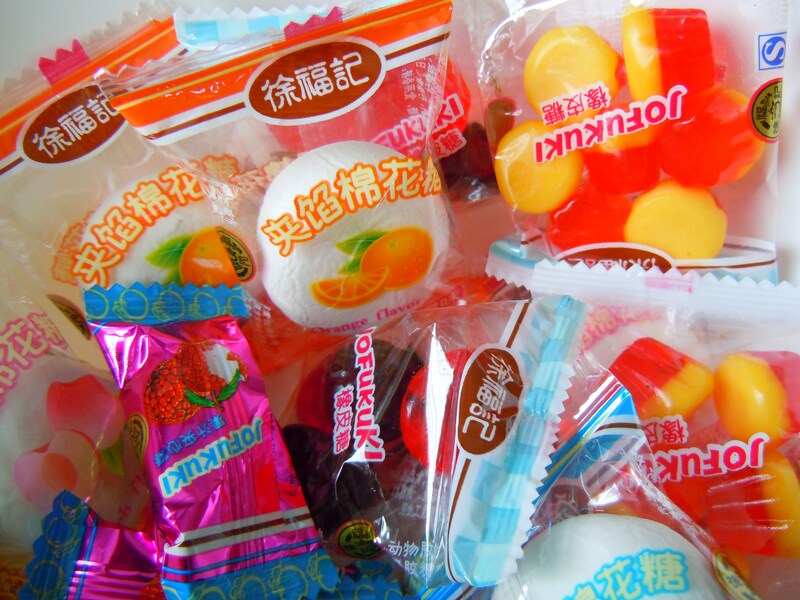 And we certainly can’t forget the special Chinese New Year’s candies! My family and I have made going to the adorable candy buffets at the malls and markets into a tradition every year. They look exactly like the ones I posted last year from Market Village and Pacific Mall and it’s so much fun because there’s always something new and different amidst the familiar candies that are brought back on a yearly basis. 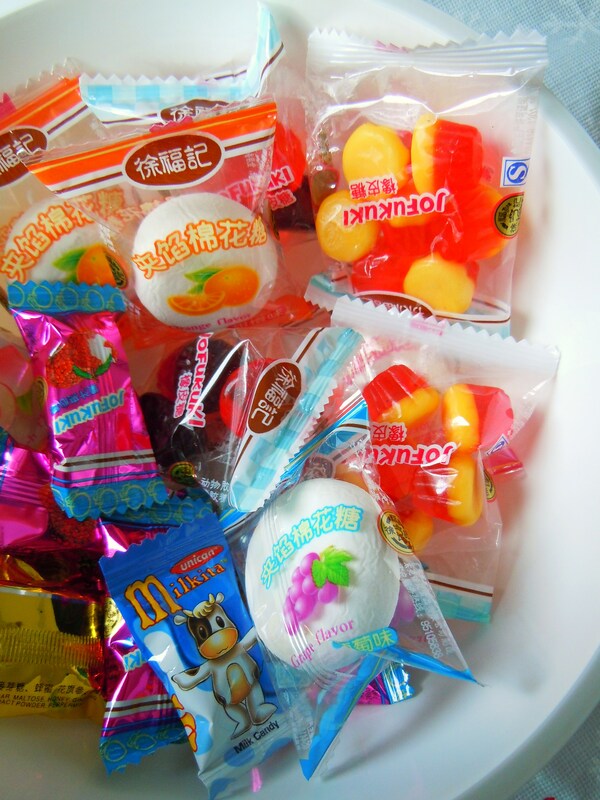 Our little Chinese New Year candy bowl has marshmallows with fruit filling, colourful jelly candies, milk candies, and hard lychee candies among others. 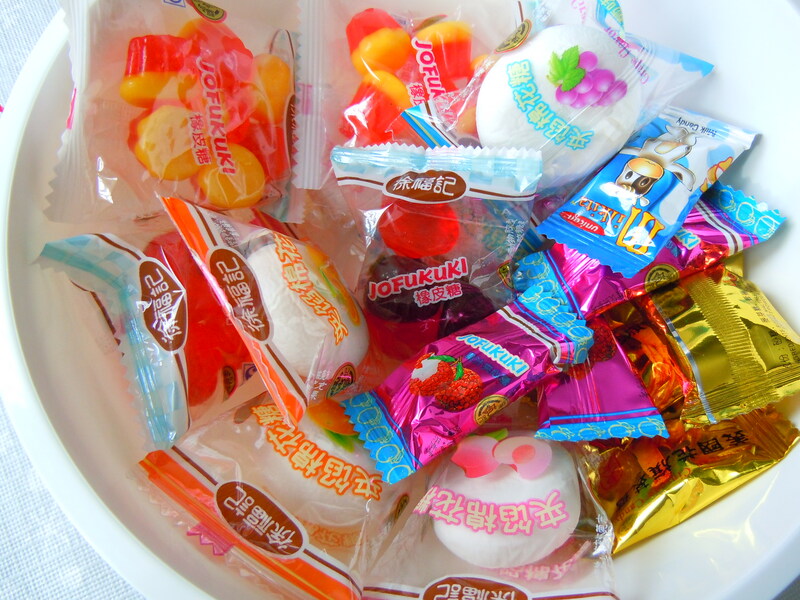 I love the marshmallows and colourful jellies the most and having these candies in the house makes me feel like I just went out trick-or-treating! I have fond memories of filling red pockets (which weren’t actually red, but were instead cute new year envelopes with Winnie the Pooh on them) with candies for my friends in high school, just for fun. All my best wishes for good health, wealth, happiness, and prosperity this year! Gung Hay Fat Choi, Sun Leen Fai Lok! Get ready for the lion dances, special candies and sweets, lots of food, and – if you’re lucky – shiny red lucky pockets! On Monday, January 23rd, we’ll be ringing in the new year, dragon style, and I’m anticipating one very exuberant celebration! Like many special occasions and holidays, if you have the weekend before to have some fun, you take advantage of it! Even though my family and I celebrate Chinese New Year after the actual new year (typically the weekend afterward, based on tradition as my grandma tells us), I have a bowl of special Chinese New Year candies sitting right in front of me along with some crushed peanut sweets and a whole package of foodie loot my hairdresser gave us this past Wednesday! So in actuality, I’m celebrating for about a week and a half. No complaints here! I’m excited and looking forward to it now, but when I realized the new year was happening only a month after Christmas, I was flustered. Throughout my life I’ve been so used to celebrating the new year in February with a rare and spotty January one here and there, so it felt incredibly odd seeing money trees and Chinese New Year banners, scrolls, and calendars while I was picking up end-of-December holiday deals last month. My mind was screaming, “How in the world am I going to prepare Chinese New Year posts so soon after Christmas? !” I needed to make plans, pronto. What I wanted eat, where I wanted to eat, what I wanted to do, what I wanted to see, the whole nine yards. I share personal stories and anecdotes with you all on a regular basis, but posts about traditional Chinese food? This doesn’t happen every day. Aside from the moon cakes and the green leaf sticky rice bundles, this is the first time I’ve featured anything traditionally Chinese on the blog. 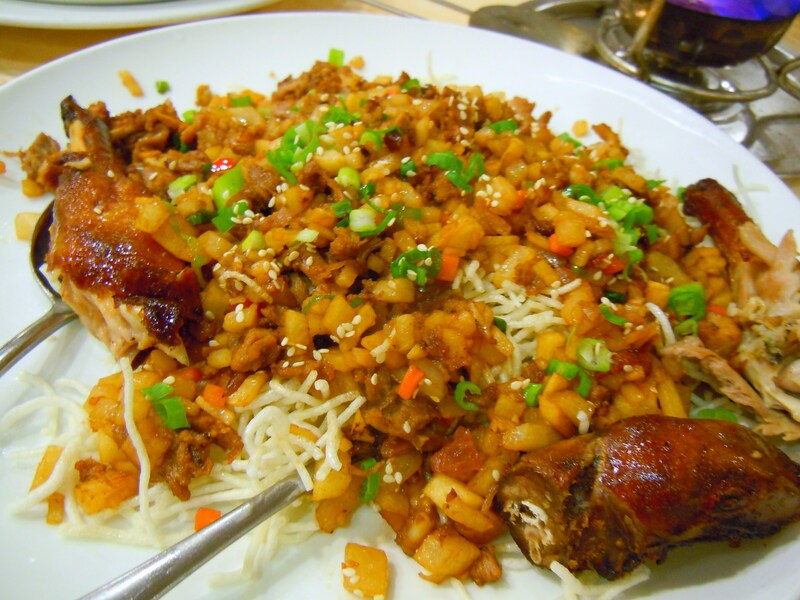 I’ve posted a number of HK style diner posts and some Chinese vegetarian ones courtesy of King’s Cafe, but nothing pertaining to banquet style Chinese meals or the classic rice and noodle dishes that have become so familiar and comforting to me and it’s certainly not because I haven’t wanted to. The timing and circumstances have just made it a little more challenging! Try explaining to a table of 10 why they can’t dig into the food that’s been placed in the center of the table on the rotating glass disc right then and there. You do not want to piss off people who are hungry; I know because I belong to that group. I bare fangs if someone tries to get between me and my food. When I’m having a big ol’ Chinese dinner with the family, I’m there to shovel rice into my mouth with chopsticks and to drown myself in oolong and bolay (pu-erh) tea, not to sit there and thoughtfully adjust the brightness, hue, or white balance and exposure of my camera! However, little miracles happen every day and this was mine: I managed to get some nice shots of a dinner I had with my grandparents with no grumbling whatsoever! My grandpa even jerked his hand away and apologized when he reached for a dish and realized I was taking a photo of it. How cute and sweet! I’ve wanted to do a post like this for such a long time and finally, I get to show you all some of the food that’s been ingrained into my upbringing. They’re not the best photos in the world, but they’ll do! The peking duck aftermath - crunchies! you order a big banquet-style 10-course meal (or 8 courses or however many courses the particular meal set comes with) that will feed many mouths. You pay a very pretty penny for these, so these types of meals are often reserved for super special occasions like Chinese New Year and traditional banquet wedding receptions, but they’re available any time so if you just feel like celebrating, you can certainly go for it! the “wo choy” meal arrangement. This type of meal is similar to the banquet-style one, only smaller in scale (and obviously price!). Wo choy meal sets are ones that come with a predetermined number of dishes in even numbers. For example, 4 wo choy (“say wo choy” in Cantonese) is a meal set that comes with 4 dishes, while 2 wo choy comes with 2, and so on. You can either choose the number and type of dishes you want for a fixed price, or you can go with the sets that have already been put together for you on the menu. There are many different groupings so you choose the meal set that best suits your mood and tastes. 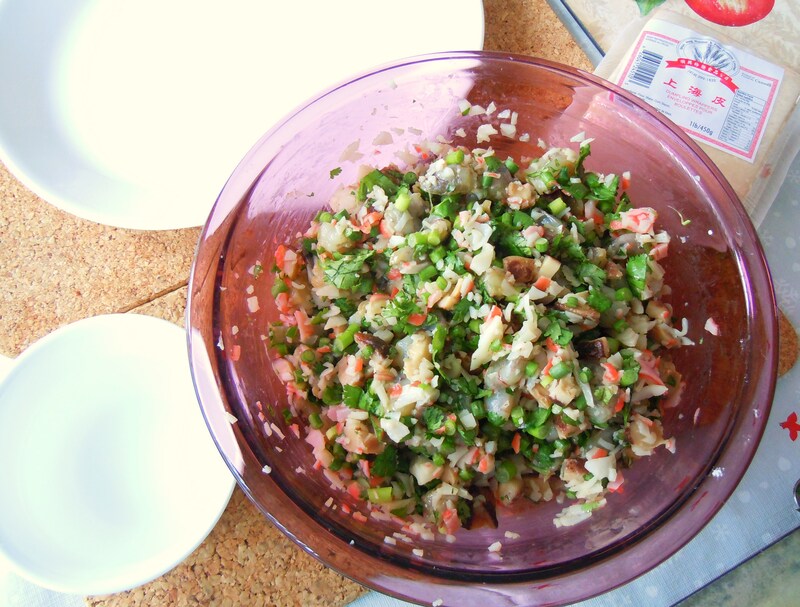 Dishes include seafood and meat, and vegetables. Rice and noodles are exempt from these sets and are ordered completely separate from and outside of the wo choy arrangement. the order-whatever-you-want-off-the-menu way. Each and every dish has its own price point and you needn’t feel obligated to do the wo choy arrangement if you’re not feeling it. However, this way obviously won’t be as cost effective since you’re ordering each dish a la carte, but you can do it if that’s what you want. During this particular meal, we had a great assortment of delicious traditional Chinese favourites including silky shrimp and egg tofu, pineapple and chicken fried rice, chicken, hot pot beef, seafood and gai lan (Chinese broccoli), bok choy, and, of course, peking duck! 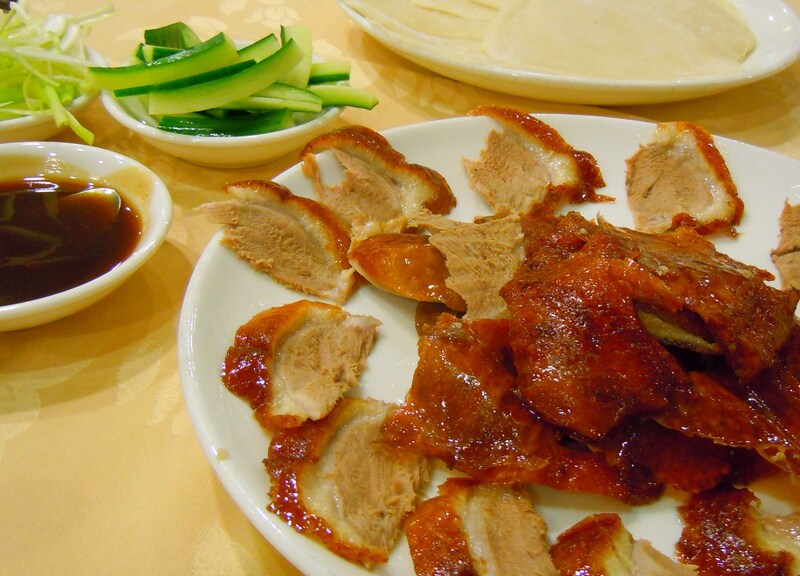 The peking duck is always the most anticipated because it’s such a treat. I have this maybe once or twice a year, at best. It’s accompanied with the little steamed crepes, cucumbers, scallions, and special hoisin sauce and the chefs use the remaining duck to fry up this incredibly delicious crunchy crispy that I like to call the “crunchy duck aftermath”, a dish with garlic, water chesnuts, green onions, sesame seeds, crispy noodle bits, and duck meat that you spoon onto large crisp lettuce leaves and eat as lettuce wrap tacos. Chinese New Year festivities are in full swing all across the city, country, and world and for the next week, we’ll be celebrating the new year with great food and traditions with family and friends. This post is just a small peak at some of the classic, traditional Chinese foods and dishes that I’ve grown up enjoying. 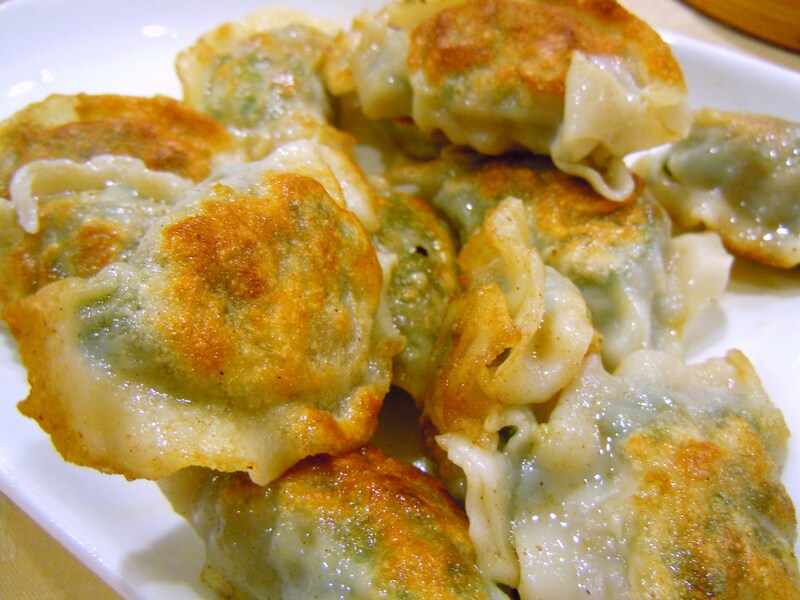 A Holiday Dumpling Workshop in the Kitchen – Shrimp, Crab Meat, Herbs, and Veggies For Homemade Wontons! It’s delicious homemade wonton dumpling time! 😀 Yes, that’s right, yours truly made homemade wonton dumplings from scratch yesterday and spent her the whole day in the kitchen preparing and mixing baking ingredients for cookies and cupcakes, and chopping up wonton filling ingredients in the morning. I know these don’t exactly scream Christmas or even “holidays”, but my mum and I made these for ourselves and for my grandparents as a little homemade Christmas food love from our hearts to theirs. I’ll have you know that yesterday’s wonton making session was not my first. I know I never really talk about my cooking adventures or kitchen escapades much aside from baking, but my childhood is full to bursting with kitchen and cooking experiences and memories and I have my grandma and my aunt to thank for that. They instilled a love of home cooking in me and let me help them early on. 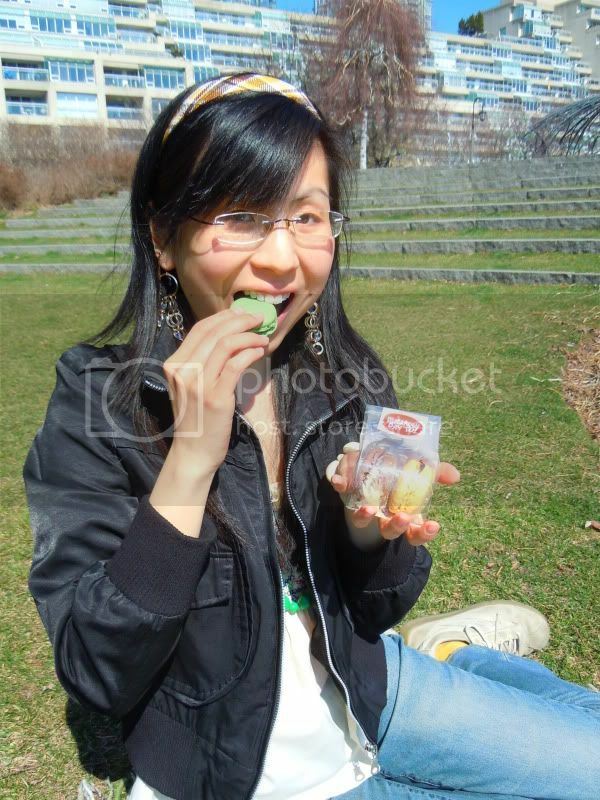 My first cookie baking experience was with my aunt in her Scarborough apartment at the age of 8 and my first wonton making adventure was with my mum and grandma in my grandparents’ kitchen when I was…some young age that I don’t recall at the moment. But it was so much fun and it will always be one of my favourite memories. I’m so, so excited to share these wonderful dumplings with you guys because not only do they taste delicious, but they are SO much fun to make! 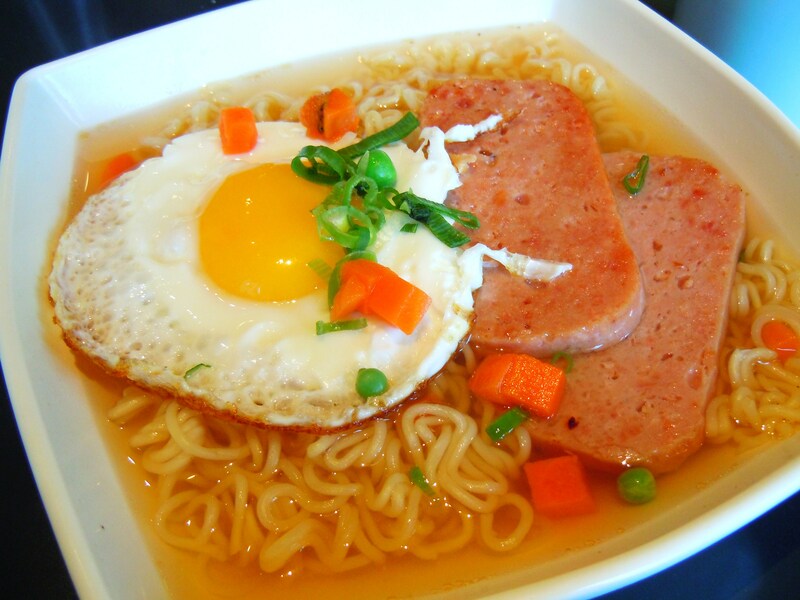 You can literally make a fun morning and afternoon out of it and boil your creations for dinner later on at night! I think it would even make a fantastic party activity for a get-together. With the tv on or some music playing it’s incredibly relaxing and soothing and just oodles of fun. It’s honestly one of my favourite things to make, ever. Well, that and making cake pops and cookies. You get the idea. Just like my Christmas cake pops from Le Dolci, this is somewhat of a photo tutorial, so feel free to follow along or you can just enjoy the photos and drool. It’s up to you. Okay, first things first: the wrappers! 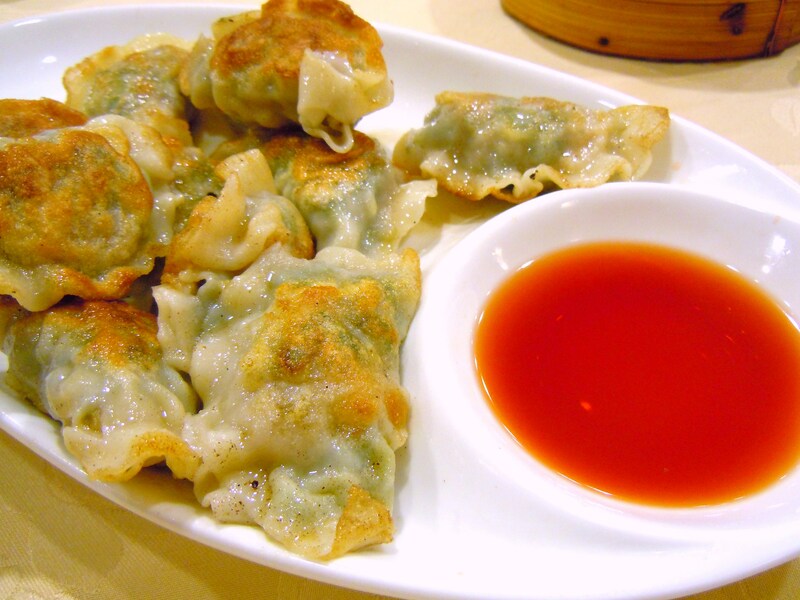 Wonton and dumpling wrappers come in a number of sizes and shapes. 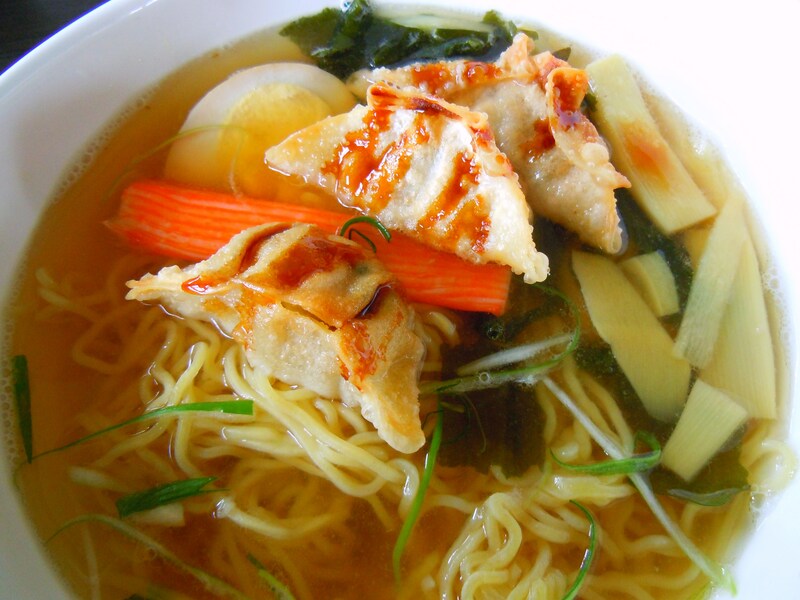 Most of the time you’ll find them in square shapes and circle shapes, but if you’re feeling ambitious and know or want to make your own wonton wrappers from scratch, you can also make circles with scalloped edges if you like. 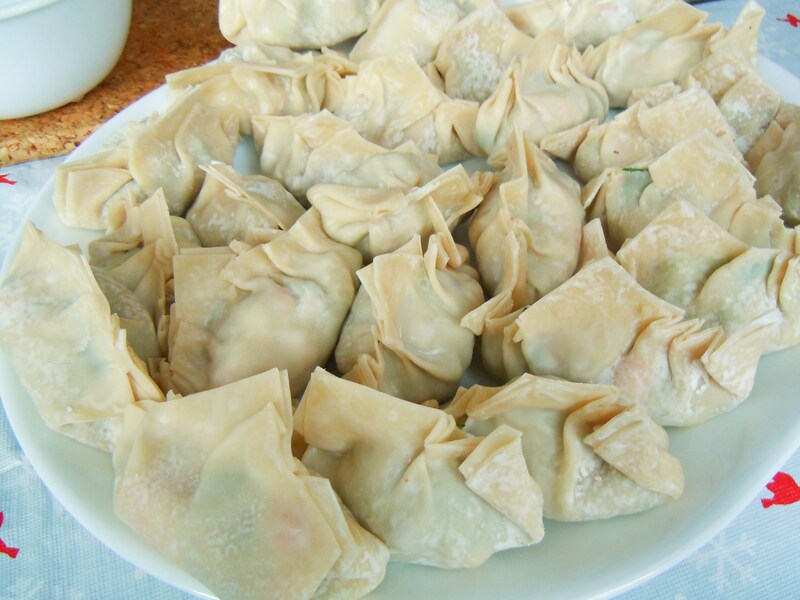 The wrappers are basically a mixture of flour, water, and possibly some cornstarch, egg, and/or salt kneaded into an elastic dough and then rolled out into thin sheets and cut into squares or circles for wontons and dumplings. There are plenty of recipes online, such as this one, if you want to make your own dough wrappers. It’s about time I finally featured food from Scarborough on the blog! I’ve been trying my best to represent as many areas of Toronto (and Markham) as I can and I’m well aware how quiet it’s been on the Scarborough front. Trust me when I say that the lack of yummies from Scarborough hasn’t been intentional though; there’s a number of reasons why it’s taken me so long to post about the great food here. First, I’ve lived in Markham for 13 years now and during those 13 years, school and work stayed within York Region boundaries during high school and undergrad university. If I wasn’t at school I was at work and when I wasn’t at work I was at home. Scarborough activities were mostly relegated to appointments, errands, and visiting family. Second, if I wanted to head into Scarborough (i.e. the 416), I would have to pay double transit fares, so I had to be very careful with how much money I spent to get around. Even though parts of Scarborough are very urban and city-like, much of the area is suburbanized which means you can’t exactly walk around place to place on foot. Without a metropass, I would have been spending all my money (which wasn’t very much to begin with) on tokens alone. Finally, even though my grandparents still reside in Scarborough (along with a number of old friends and classmates), have you ever attempted to take photos during a large family meal? It’s virtually impossible. There was no way to take and post photos without getting either half-eaten, messy dishes or hands and arms all over the place. Not the most attractive for a food blog, yes? Things are a little different now though. I’m older, I have my own camera (the idea of taking photos of my food at the age of 10 never even occurred to me! ), and years of working has given me a tiny bit of extra breathing room to explore, money-wise. I may not be aware of every nook and cranny in Scarborough, but I know a lot of the area and the food like the back of my hand. 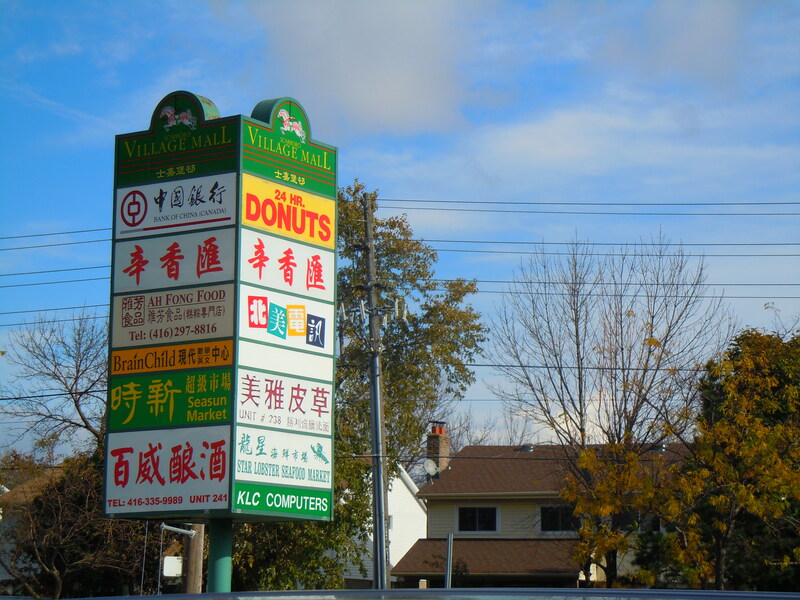 If we’re talking about areas outside of both Chinatowns in Toronto, Scarborough is where it’s at if you want great dim sum and Chinese food. Sure, Markham is great for this too, but Scarborough has a bit more of the old-school feel to it and considering how the majority of my childhood was spent here, it always feels like home. 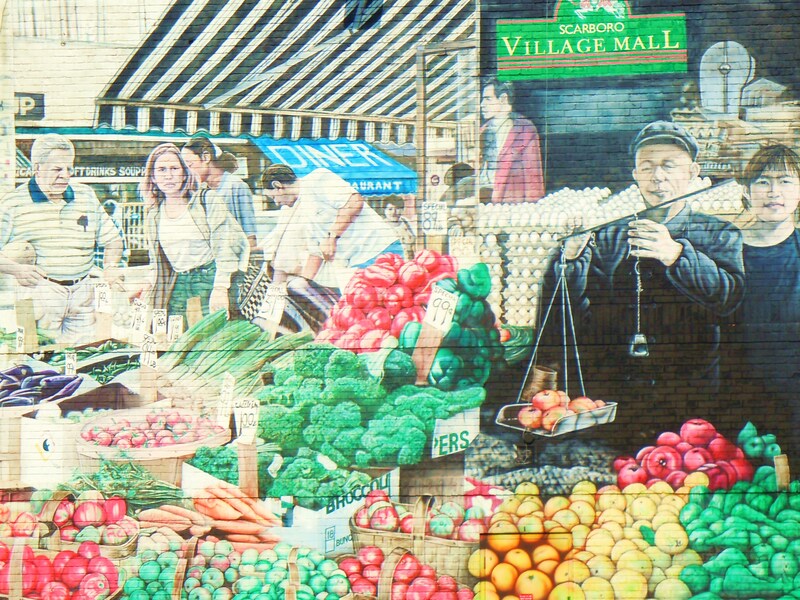 I have fond foodie memories of the Finch and Midland neighbourhood especially. Growing up, I’d eat Chinese food and noodles in this area with my mum and dad, I remember going to Korean BBQ with my aunt and uncle, and I even remember dribbling taco sauce on my favourite dress when I was 5 in the old Taco Bell. Even though things change over time, in many ways, things have stayed completely the same. If you’re familiar with Scarborough you know which area I’m referring to when I say, “rows of hanging triangular rainbow flags”. I don’t have a photo for you all right now, but the iconic rainbow flags hanging over this plaza is the hallmark of this foodie district along with all the Chinese food. I can’t remember the last time I ate around here. It’s been years. So it was such a treat coming back here with my family for some breakfast. We found this fantastic place called Made in China Hot Pot with awesome HK style diner food and breakfast! Obviously since this was my first time here, I can’t tell you anything about the hot pot, but I can tell you about the breakfast. I looove HK style breakfast. 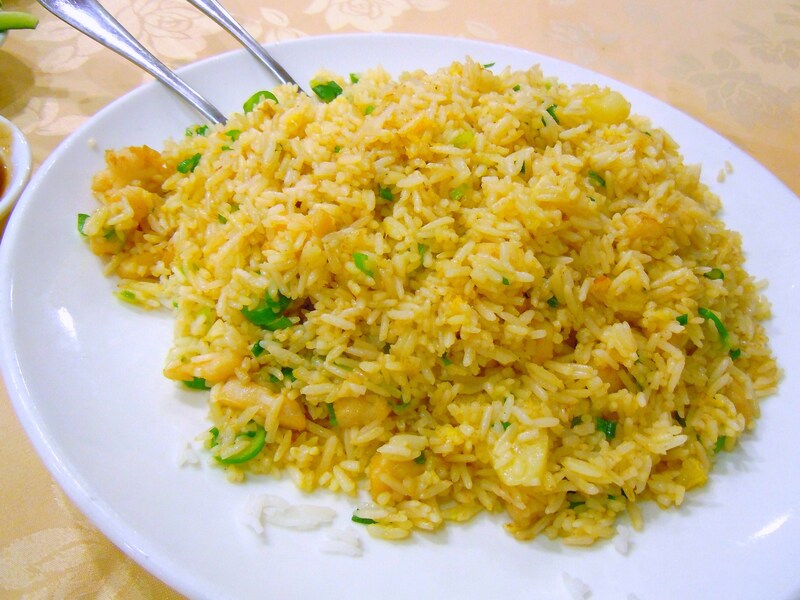 Popular favourites includes congee with either different meats, seafood, preserved egg, or things like pork bones, noodles with eggs and mixed veggies, macaroni in soup with sliced beef, eggs with toast, ham, sausage, or luncheon meat, egg and meat sandwiches, baked bread and pineapple buns, cheung fun dim sim, and a number of others. 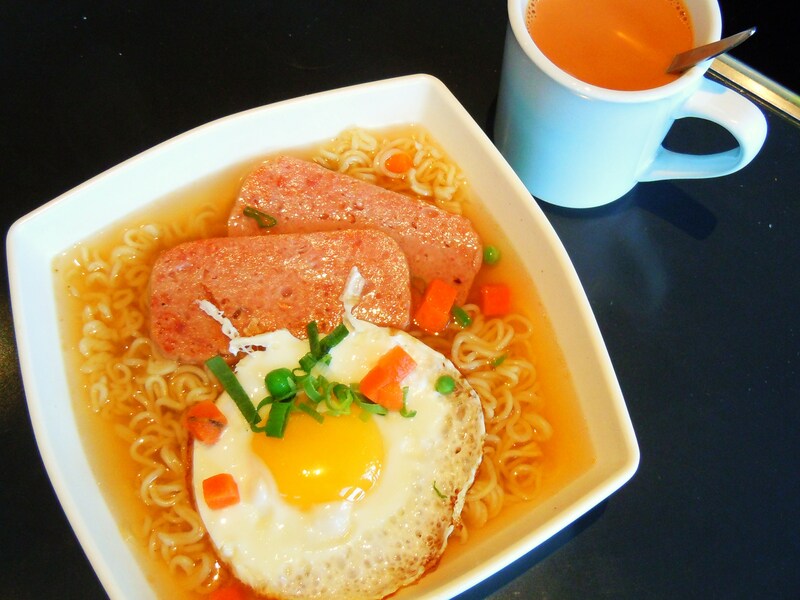 My favourite dishes are instant noodles with egg and luncheon meat, macaroni soup noodle bowls, and HK style toast with the crusts cut off and spread with butter made with sweetened condensed milk. Made in China Hot Pot has a great breakfast menu with a ton of options and the prices are ridiculously awesome for the portions you get! Prices range from $2.55 to $5.95 and all menu items come with your choice of HK style tea or coffee (lie cha, ling cha, yuen yeung, etc.). My mum ordered the oatmeal with two eggs and toast, my brother ordered the omelette with ham, mushroom, and cheese with toast, my dad was in conniptions over his salted pork bone congee and fried vermicelli noodles with bean sprouts, and I ordered my favourite HK breakfast comfort food: instant noodles in soup with luncheon meat (mmm chan yok) and egg. The portions and presentation of food are both fantastic. My dad literally got this ginormous bowl of congee and a full square plate of noodles, my mum got a nice meal-sized bowl of oatmeal with her eggs and toast, and my brother’s omelette with thick and stuffed to the edges. Since the meals came in “two-parters” with the exception of mine, we were honestly expecting side dish sized portions for each “part” of the meal given the fab prices and we were blown away and so happy and satisfied with our food. 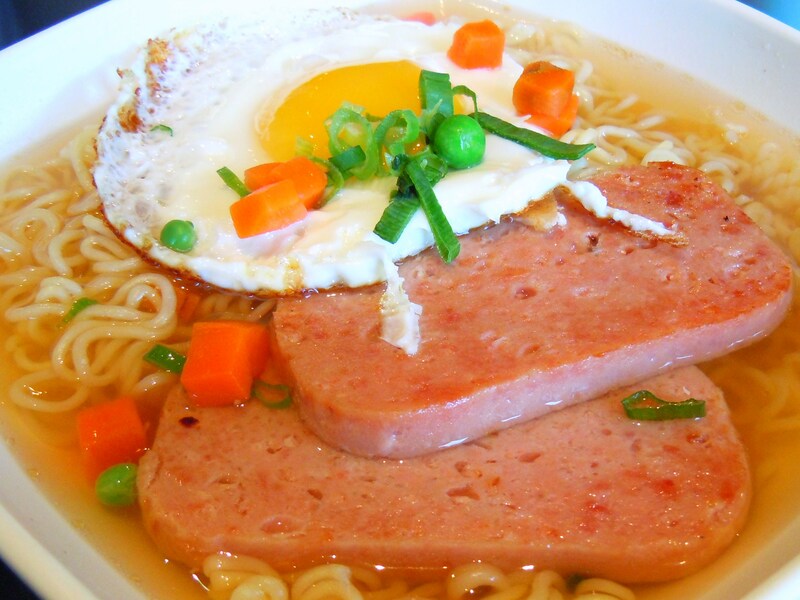 Even though my meal is very run-of-the-mill in terms of content (instant noodles are instant noodles no matter how you spin it, and so is luncheon meat unless somebody decides they want to be cute and starts to use cookie cutters), I loved my dish. 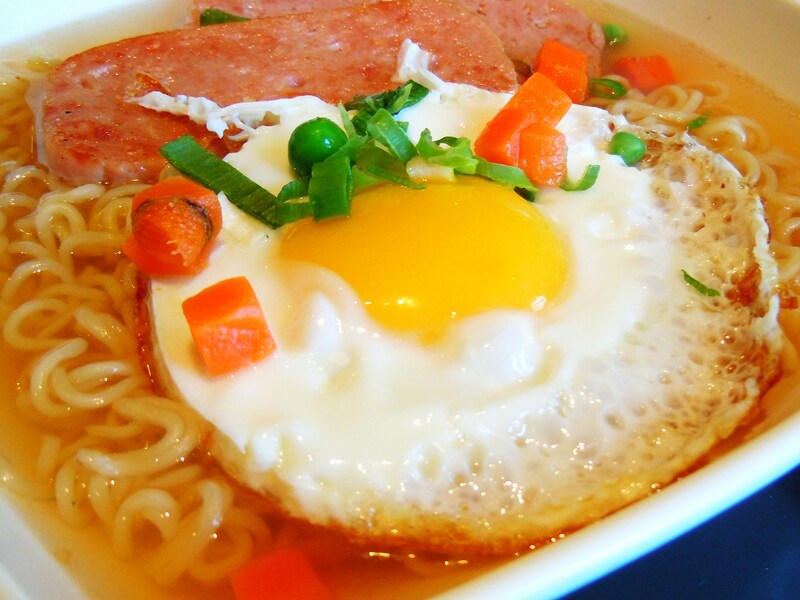 Instant noodles in soup is one of my most favourite comfort foods, the luncheon meat was delicious with its savoury, smoky, slightly salty flavour, and it wasn’t overly seasoned (they didn’t drizzle soy sauce over it which was a very good thing! ), and I adored how cute my egg looked! It was a gorgeous sunny-side up egg (some dishes will come with an overeasy one) and the fab part was that the yolk didn’t explode everywhere. 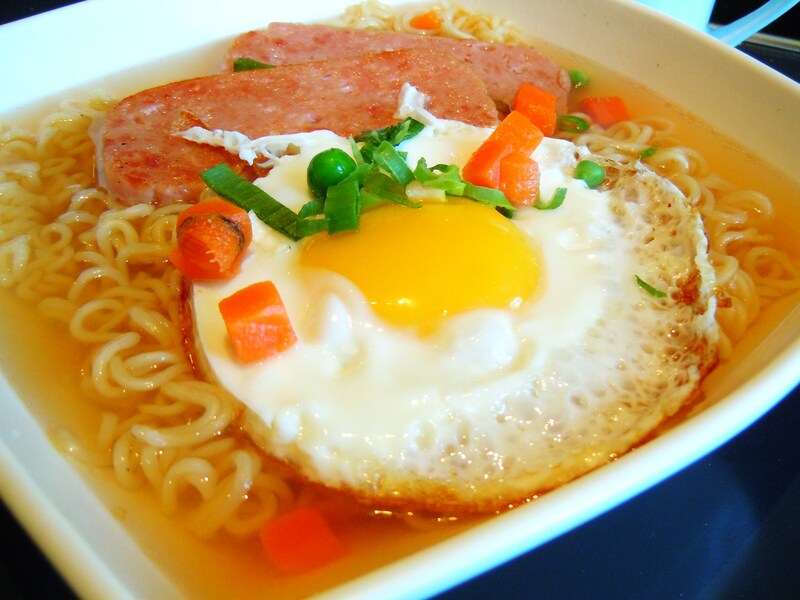 I love me some overeasy eggs where I can dip my toast or bread in the yolks, but in noodle soup, I like it more cooked so it doesn’t get lost in the soup. Made in China Hot Pot is beautiful on the inside and so big and spacious. I’m so happy we found this place and we’re already looking forward to our next visit! They have HK style spaghetti and rice dishes, a slew of different dumpling sets, and of course its namesake, hot pot. When it comes to food, Scarborough hasn’t lost its touch. Made in China Hot Pot is located at 3280 Midland Ave. in the Scarboro Village Mall plaza near the intersection of Finch and Midland Ave. The plaza is north of Finch and south of Silver Star Blvd. 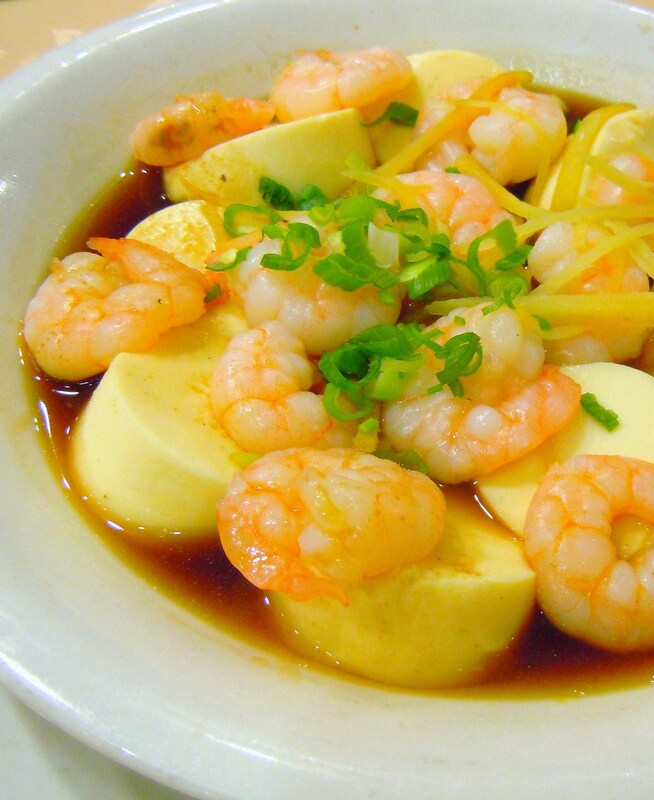 They serve all-day breakfast, lunch, dinner, and their specialty, Chinese hot pot.